A message from our administration and student leaders: As both students and Americans, it is impossible for us to ignore what is going on in our society. This has been brought to light time and unfortunate time again, most recently by the terrible tragedy at Marjory Stoneman Douglas HS in Parkland Florida. After this horror and so many other devastating displays of violence, it is very important for all students of America to speak out. With this in mind, members of the student body at Williamsville East High School have organized a peaceful walkout to take place on March 14th. We are asking students to walk out of their classrooms at 10 am and join us at the flagpole on school grounds for seventeen minutes, to honor the seventeen lost lives. Please join us if you are willing and able to participate in this walkout to both honor the lives lost and demand prompt legislation protecting our fellow students and citizens. 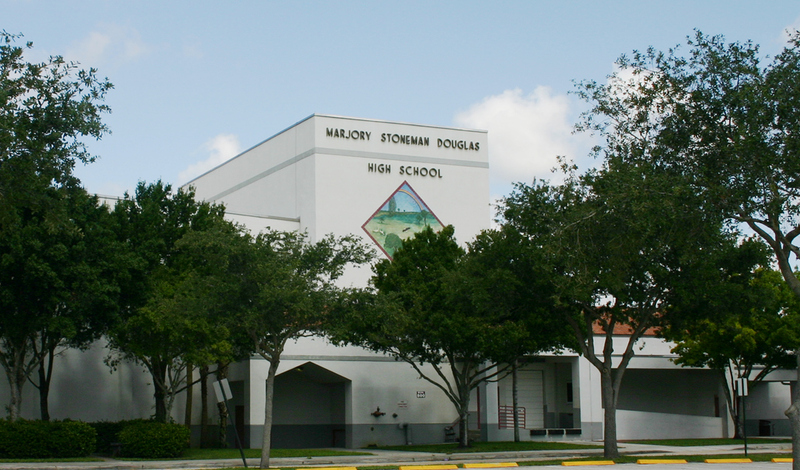 We at East are standing in solidarity with our peers at Marjory Stoneman Douglas HS and others who have been affected by gun violence across the country. The East Side News hope that you join us in supporting our fellow students in making our stance on gun violence clear: we will not allow assault weapons and high capacity magazines to go unregulated any longer. We demand that there be a stricter process for purchasing a weapon and that the gun-show loophole is closed. We want people on watch lists, as well as those not mentally fit to be unable to purchase a firearm. Help us send a message to both local and politicians that students are done being afraid in place that we should the feel the safest in. Walkouts are being held around the country, but more specifically at local Western New York schools, including Clarence High School, Williamsville South High School, Kenmore East High School, Nichols School, Orchard Park High School, Lancaster High School, and Transit Middle School. Students are encouraged to wear the color orange in the walkout. Many of you may be wondering why the color orange? In 2015, fifteen year old Hadiya Pendleton was shot and killed after taking her final exams in a Chicago park, where a gunman opened fire. The color that Pendleton’s parents and friends chose to wear her honor was orange, and because of their activism, the color orange is now a symbol of solidarity in the movement against gun violence. It is important to remember that this is a peaceful walkout is to honor the seventeen lost lives of the students in Parkland. At 10 am, students may silently leave their class and congregate at the flagpole, and each minute during this seventeen minute walkout, a Parkland student’s name will be read aloud. For the future the Parkland students have planned a ‘March for Our Lives’, a national march to be held in Washington DC on March 24, as well as a subsequent walk out on April 20 in memoriam of the Colorado Columbine Shooting to help reaffirm their stance on gun violence and the much-needed gun control. On March 24, there will also be a ‘March for Our Lives’ in downtown Buffalo. A large number of colleges, including Cornell University, Harvard University, and even our very own Canisius College, have come out to support the walkout and stated that penalties received by students as a result of protesting will not be held against them in the college application process. It also should be noted that the American Civil Liberties Union (ACLU), has released a statement reminding students that schools cannot implement harsher punishments for protesters, the only type of penalization that can be received is the same as any other class skip/cut if the school so chooses to. The East administration has made it clear that although they don’t support the walk out there will no academic consequences for students who choose to participate. The walkout is not sponsored by Williamsville East, but our administration in partnership with the Amherst Police Force will do everything in their power to make it a safe and supportive environment for students exercising their first amendment rights. It is important to note that while Williamsville East has approved the upcoming peaceful walkout on the 14, they have not approved the walkout on April 20th. The walkout will be supervised with teachers who have free periods during third and/or fourth, and teachers whose students have all joined in the walkout. Teachers who have classes and students who do not partake in the walkout during third or fourth must remain in their classes to supervise. Parkland students Emma Gonzalez, David Hogg and Cameron Kasky, among others, have begun the #NeverAgain movement, designed to implement stronger and stricter controls over guns and in particular assault rifles and high magnitude magazines. They are targeting politicians who have taken support from the National Rifle Association (NRA) and have chastised President Trump for suggesting that we should arm teachers in additions to other solutions. The students took to the Florida State Capital in an attempt to make progress in changing one of most pro-gun state legislatures. However, the Florida State House turned down a crucial vote that would have banned semi-automatic weapons and large capacity magazines, and although the subcommittees who review the bills did not attend this session, the bill has effectively been killed. Although the Florida State House did not pass that bill, on March 7th, new reforms were put forth to restrict firearm sales and to allow certain teachers and school staff to carry weapons in light of the Parkland tragedy. It has now been sent to Florida State Governor Rick Scott for final review and to ultimately make it Florida state law. The fight for against gun violence is not over for the Parkland students and for millions of their supporters around the country.